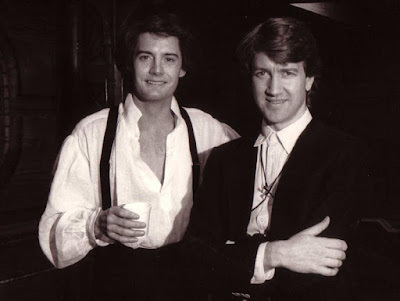 Kyle MacLachlan's acting career is the fascinating topic of discussion in this episode of Alec Baldwin's interview podcast Here's the Thing. Kyle discusses his early childhood, in which his parents limited him and his siblings to watch only Disney films. And follow his journey as he matures into an excellent actor. Kyle's anecdotes are a lot of fun and contains a lot of information that many of his fans probably are not aware of yet. Baldwin asks some piercing questions about what Kyle thinks about being an apparent acting muse of one of the best director's of this generation. And follow Kyle as he goes through the fickleness of fame and the disillusionment of the apparent failures of his career. But overall, his dedication and discipline has led him to great success, again. 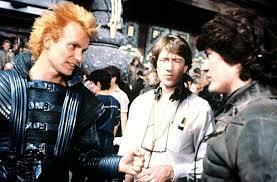 Trace Kyle's remarkable journey of going from a science fiction fan of the Frank Herbert novel Dune (1965) to actually act as the lead Paul Atreides in David Lynch's film adaptation. And how Kyle MacLachlan would become the director's "go to" male lead actor for the next several decades of excellent film and television.